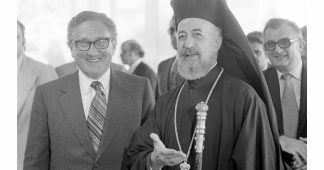 As 82% of the Cypriot population are Greeks by nationality, this coup should be regarded as continuation and “radicalization” of the “Destroy the Greeks” program that has been under implementation by the EU and the IMF, under supervision from High Finance in alliance with Germany, for the last seven years. From the economy they are now moving on to geopolitics. Up until now they have been usurping Greek sovereignty on matters of economic policy. With the Cyprus coup they are attempting to usurp “hard” sovereignty from the Greek people. I am not using the term coup d’état as a rhetorical schema, I am using it stricto sensu. An international conference has been convened in Geneva, with three foreign states (Britain, Turkey, Greece) represented along with representatives of the two largest national groups in Cyprus: Greeks and Turks. The Republic of Cyprus, a member state of the EU, is not officially represented in that conference. Two of the three states (Britain and Turkey) have in the past launched very bloody wars against the Cypriot people. The purpose of this conference is to draw up a new “Treaty for a Federal Cyprus” and to decide the future constitutional and international regime of this state, without taking into account what the citizens of Cyprus think about this! 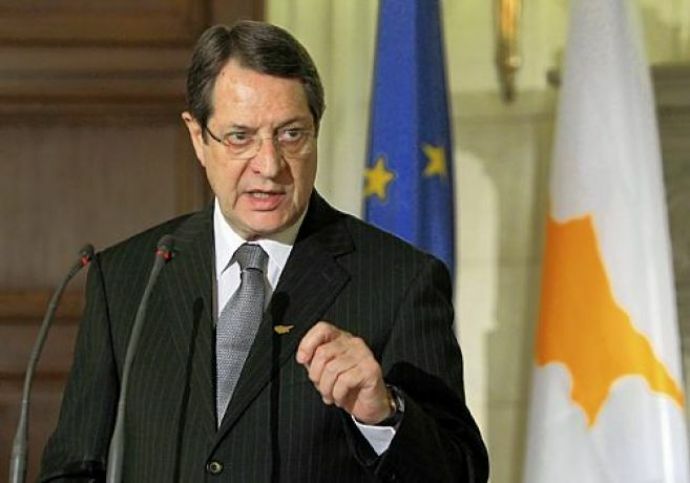 The reason they have convened such a conference is that they are unable to persuade Cypriots themselves in a referendum to vote the solution the Western powers propose to the ethnic conflict on the island, a solution tantamount to the suicide of the Cypriot state and its transformation into a protectorate! The Greek government, which now acts more and more as a representative in Greece of the Troika and the West, not as a representative of the Greek people, has agreed to participate in this criminal farce. 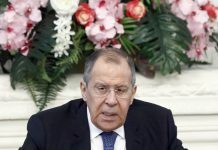 The same has happened with the President of Cyprus himself, who is openly, internationally and publicly being blackmailed with various criminal allegations, in particular the Lebedev scandal, at the hands of the US administration and courts. Unfortunately for the Greek people in both Greece and Cyprus, its political and ruling class has made the greatest progress in Europe in advancing the totalitarian agenda of the foreign powers that are seeking to subjugate and destroy the Greek people, their states and their democracy. 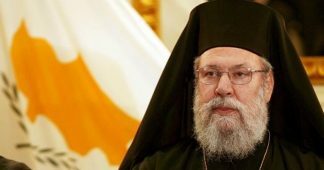 In the new “state” they want to create in Cyprus, the rule of the majority (the foundation of democracy) will be officially abolished, as the 18% minority will have a veto on all essential decisions, and foreign judges and officials will have to take the decisions in the very likely contingencies where Greeks and Turks disagree. The new state will not have any army or police of its own, but will be under the power of an International Police Force! 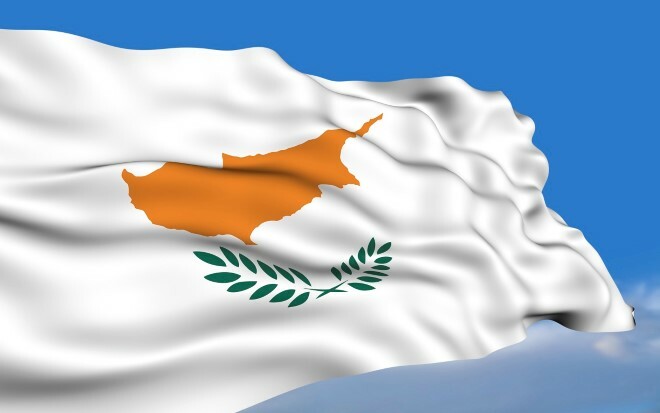 In fact, their intention is to return Cyprus to the status of a colony, which is what it was before its revolution of 1955-59 and before it achieved independence in 1960!!! They are gestating a monster, a kind of Frankenstein state. 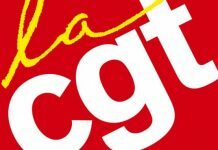 This coup d’état is one more expression of the world-wide attack against popular and national sovereignty, against the social welfare state and against all forms of democracy. It is the same attack which is also being organized through treaties such as TTIP, CETA, etc. which aim at establishing nothing less than a totalitarian world order, destroying any existing possibility of elected powers, at either the local or national level, having any influence on the decisions affecting people. Neoliberalism was initially an economic and political proposal. 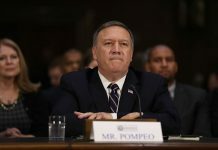 It is now becoming a proposal for regime change. 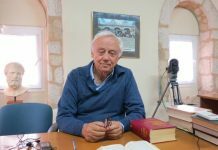 It is already clear that, since the Maastricht Treaty at least, we have been witnessing a multi-faceted coup d’ état in the West, undermining the very foundations of the Western political order. They are abolishing the principle of popular sovereignty as such, seeking to replace it with a kingdom of Finance, whose power is embodied in various international organizations and their bureaucracies, including the EU institutions and bureaucracies and most “national governments”. They do not state as much openly but they are proceeding through various means, including TTIP, CETA and the other treaties of similar character. We seem to be living through a gigantic international counter-revolution, against the social and political results of the Second World War and the victory of the European peoples against Nazism and Fascism and, in reality, also against the very principles of Enlightenment and the French and similar revolutions (including the Greek one of 1821 and the Cypriot of 1955-59). 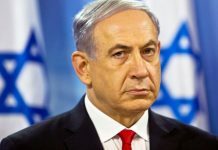 Our nations are in jeopardy and our states have already been, more or less, hijacked by globalization, that is, by the international dictatorship of finance capital, or at least its politically and strategically coherent wing, in alliance with the US military-industrial complex and NATO. The content of the Western political regime as we have known it since 1945 has already been to a great extent abolished and its legal form is now gradually changing to reflect this new reality. One of the means being used is the previously mentioned international treaties. Another relevant factor is the way the European Union, the IMF and the ECB responded to the banking crisis of 2009, transforming it into a debt crisis and using it as a tool to destroy popular and national sovereignty, particularly in southern Europe. Nowhere has this experiment gone as far as it has in Greece, which is being used, at the same time, as an example to frighten other Europeans, as a scapegoat and as a field of experimentation. The bailout program imposed on the country has already led to an economic and social crisis of unprecedented proportions, deeper than the huge crisis of 1929 in the US or the crisis in the Weimar Republic in 1929-33. Greece is now the battlefield of the new financial totalitarianism, as between 1936 and 1939 Spain was the experimentation field of the rising Nazi and Fascist totalitarianisms. The program being applied to Greece is not a classical program of neoliberal reforms. It is a mistake to describe what is happening in Greece using terms like austerity. What we face here is the assassination of a nation. The creditors have already taken away Greek national and popular sovereignty. A troika is running even the everyday affairs of the state and the government. All Greek public property is being looted. The Greek population is shrinking as young people are not having children; young people with specialized qualifications are emigrating in large numbers; mortality is rising among pensioners as a result of the crumbling of the health and social security systems. Greek pensions have been reduced fifteen times in the seven years of the “bail out” program. The psychology and morale of the Greek people are at an all-time low, strikingly similar to the psychology of Mr. K., the accused in the Trial by Franz Kafka. It is not only a political, an economic, a social experiment. It is a kind of an anthropological one. They want not only to destroy the nation, democracy, the state. They want to destroy the idea of them and the very idea of citizenship. 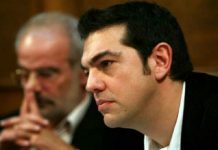 They want to lead Greece into committing a kind of collective suicide and they have up to now been to a large extent successful, especially since the betrayal by SYRIZA, one of the gravest betrayals in the history of the international Leftist movement. A probable reason Obama stopped the planned attack on Syria in 2013? Now, with the Cyprus coup, this attack against Greeks is taking new, unprecedented and even more dangerous forms. What is happening in Greece, what is happening in the Middle East, what is happening regarding climate, all are proofs that we are faced with a horrible, extremely radical and ruthless offensive by the most dangerous and reactionary forces humankind has ever produced. No illusions are permissible. But most of us do not make a proportionate response to the situation. We frequently condemn these phenomena but we do not behave as if they are a question of life or death for human civilization. It is important in these conditions to defend every element, everywhere, of popular and national sovereignty. But at the same time we should understand that such a struggle cannot ultimately be won at the local or national level, especially as we are already living, to a large extent, in what objectively is one state, and this state, whether we like it or not, is the EU. Our opponents already have a sophisticated regional and world agenda, but we try to confront them within the narrow context of national realities that are becoming more and more irrelevant. We need new political subjects that will take into account the radical character of the offensive we are facing, enshrined in our national realities but also, at the same time, in the objective international reality. * The above is from an intervention to the Conference on a democratic response to Free Trade Agreements, organized by the Fundación Galiza Sempre and the Centre Maurits Coppieters in Coruna (Galiza). 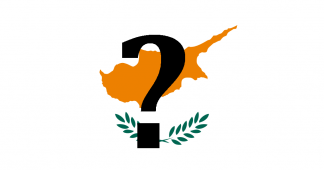 After the Greek experiment, a sequel in the EU: turning Cyprus into a protectorate!